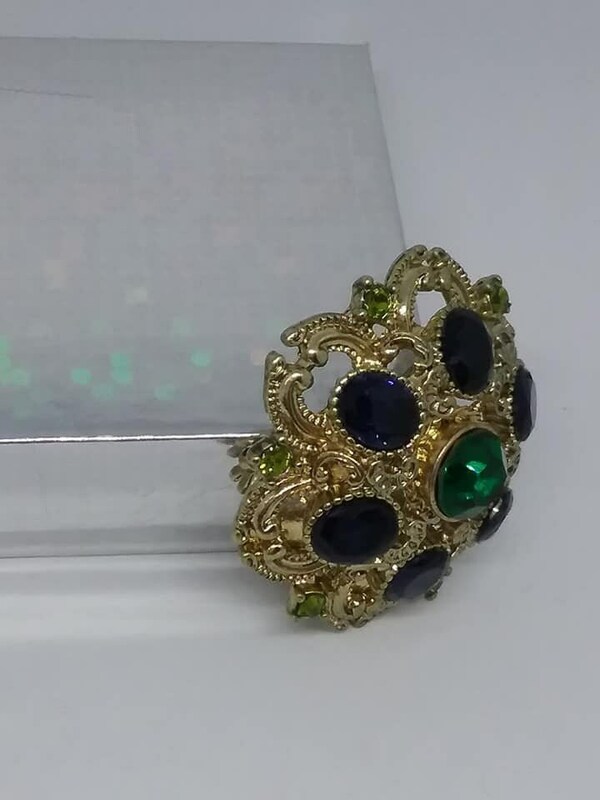 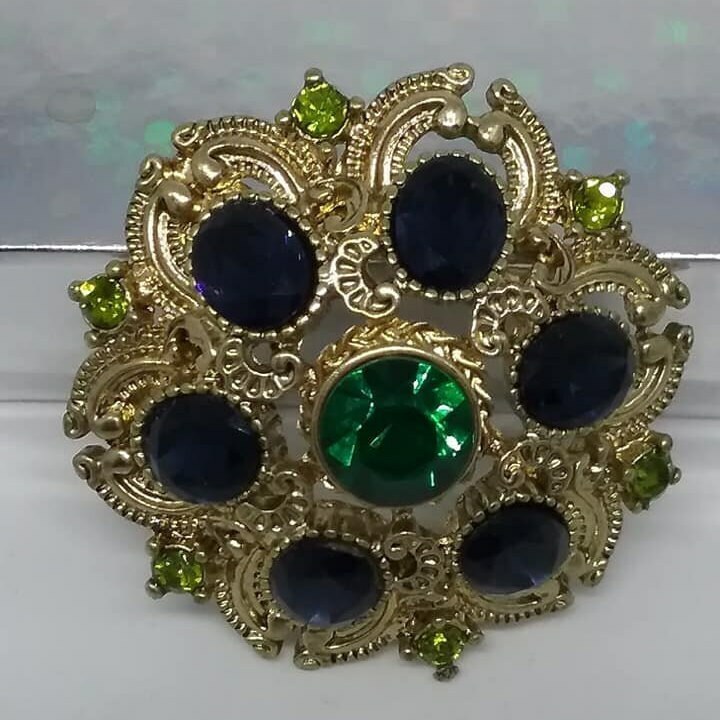 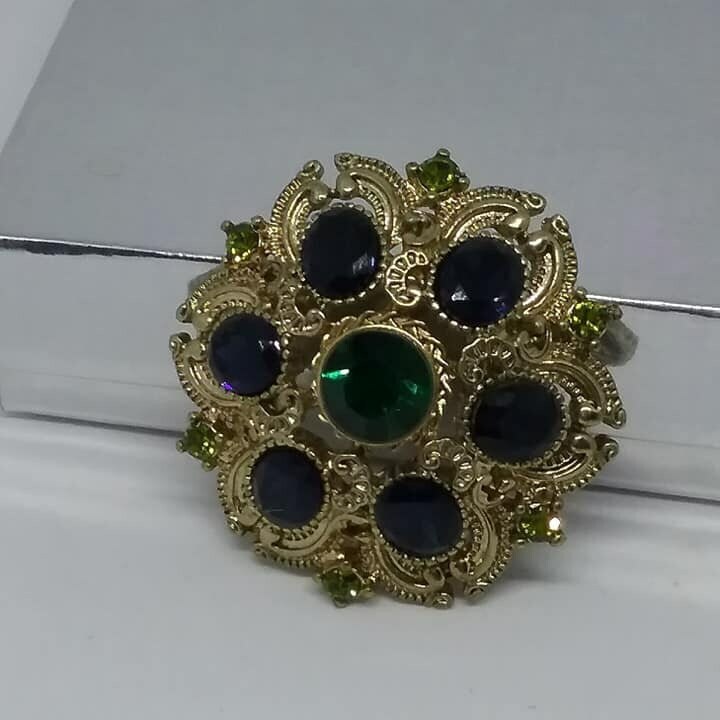 Vintage rhinestone domed brooch. 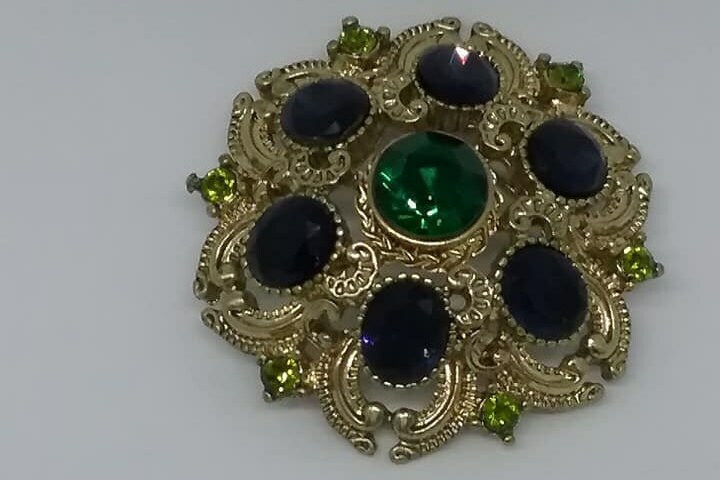 Stunning jade green and cobalt blue large rhinestones create the statement, and are surrounded by small pronged, lighter green rhinestone, all in a dimensional golden filigree setting. 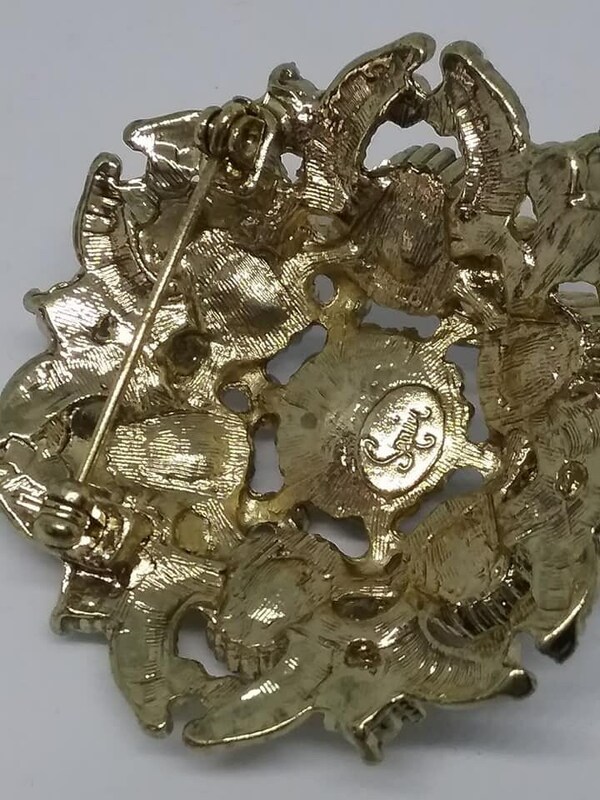 It is signed, Squire...Elbeco Squire and is in very good to excellent condition. 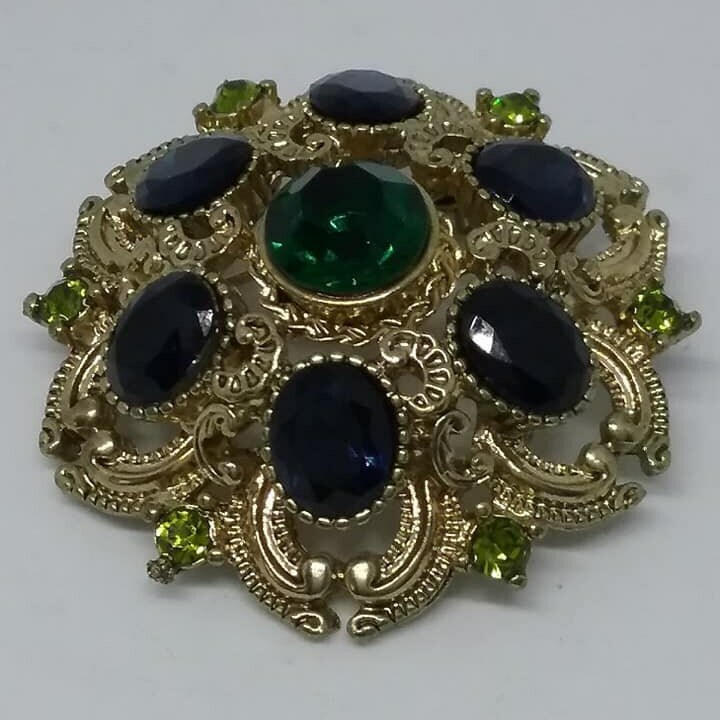 Just a glorious vintage piece!